Just a quick post on day 1 of retirement. I read this article, How Baby Boomers can revamp the economy, in the Post this weekend. Some interesting thoughts on how the concept of retirement is evolving. I don’t intend to not work. 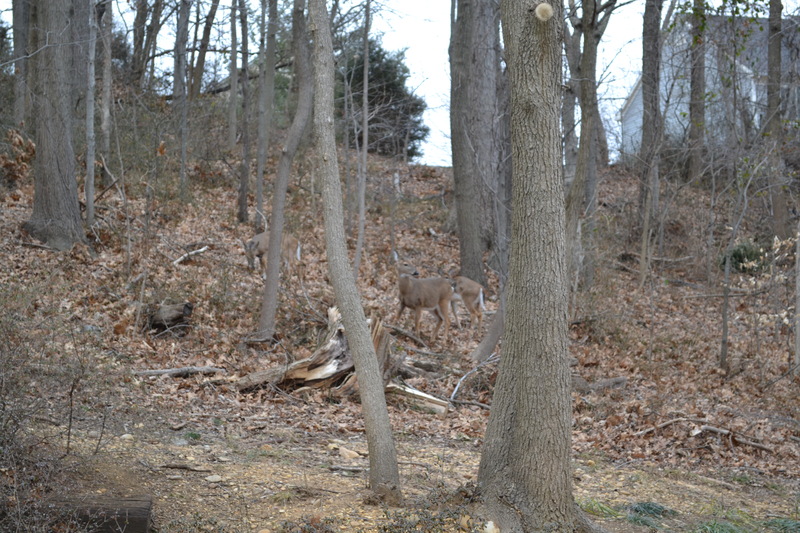 Just have not figured out what I will do other than take photos of the 6 ladies who frequent the backyard. I took these right before a big snow storm over President’s Day weekend. 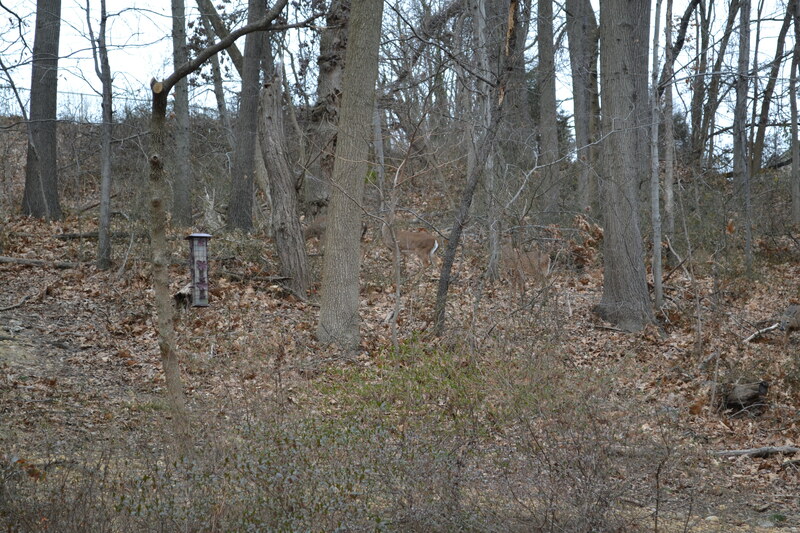 And then here, one doe feeds at the bird feeder. The ice from yesterday’s storm is melting and I have some plans for today, nothing exciting. Just doing what I want to do, no have-tos for now. This entry was posted in Uncategorized and tagged retirement, work by candyt9. Bookmark the permalink. Oh, you lucky thing. To have wildlife so close. And such a beautiful place to retire to. So much to do. Thank you Cecilia! These ladies come through frequently, our house backs up to parkland that links o a huge wetland park called Huntley Meadows. 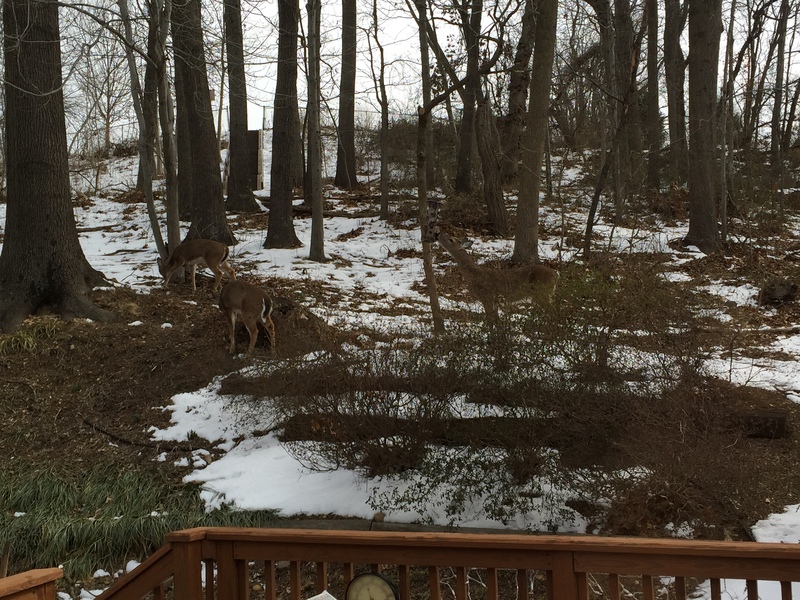 We see a lot of wildlife in our “backyard”.